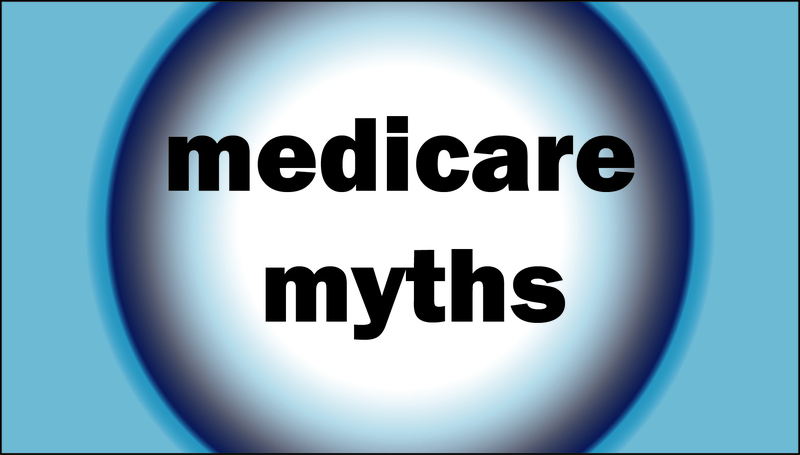 When it comes to Medicare, there are many myths, misconceptions and misunderstandings. I hear about them from advisers and their clients on a daily basis. I thought it would be helpful to describe some of the most common fallacies and dispel the misinformation. Myth: Medicare covers long-term care. Fact: Medicare does not cover long-term care. This misunderstanding often arises out of the fact that “skilled nursing facility” and home-care benefits are included in Medicare. While that is true, those benefits are very limited, based on a narrow definition of medical necessity, and require a three-day hospital stay before eligibility for payment. The Medicare “skilled nursing facility” benefit provides up to 100 days annually. Given the stringent medical necessity guides in use today, the actual Medicare skilled nursing facility national length of stay is 21 days for those who have been hospitalized for problems such as a broken hip. Similarly, the Medicare home-care benefit appears to cover 60 days at first glance, but most people are authorized for very few home-care visits over three to four weeks after a serious hospitalization. Myth: Medicare isn’t as good as employer group insurance because a lot of doctors do not take Medicare, and Medicare doesn’t cover a lot of things. Fact: “Original Medicare,” which is Medicare Parts A and B, has no networks and is the most widely accepted health insurance coverage in the United States. The vast majority of doctors and hospitals take Medicare. If a person decides to use a Medicare Advantage or Medicare Part C plan instead of keeping “original Medicare” they need to be aware that those plans are heavily “network” dependent and do not offer as broad a range of health care providers. That said, Medicare Advantage plans can include a very wide range of services and providers. It is critical for the beneficiary to evaluate those plans before enrolling to make sure they cover their health care needs. With recent law changes, Medicare Parts A and B now cover an extensive range of preventive health care services in full without copayments or coinsurance. Things like routine immunizations, screening mammography and colonoscopy are paid for in full based on a recommended schedule. You can find a complete list of preventive services and coverage requirements in the U.S. government publication, “Medicare and You.” When people enroll in Medicare, they receive a paper copy of this 160-page guidebook. It is also available online. Myth: I can wait until the end of COBRA coverage before enrolling in Medicare. Fact: This is false and can cause lots of difficulties creating lifelong penalties and significant coverage gaps. People may fall into two different Medicare scenarios. The first is the person who becomes Medicare-eligible while on COBRA, (the Consolidated Omnibus Budget Reconciliation Act is the law that makes employer-sponsored coverage available after leaving a job). The rule, in this case, is that the individual must leave COBRA coverage and use Medicare as their primary coverage. If the individual has dependents on COBRA, they will have a new qualifying event for COBRA. The second scenario is that the person is over 65, has Medicare Part A and retires with COBRA. While the person can keep the COBRA, they have a special enrollment period (SEP) that lasts for eight months after retirement. If they do not enroll in Medicare Part B during the SEP, they are not eligible to enroll until the next general enrollment period, which is Jan. 1 through March 31 of the following year, with coverage beginning July 1. I have seen several cases where the retiree has negotiated for or been given a severance package with several months of minimal- or no-cost COBRA. While that may sound appealing, it is not always the best option for the retiree from a coverage and cost standpoint. A word to the wise is to evaluate COBRA and Medicare options as soon as possible when retirement or workforce reductions are on the horizon. Ideally, that evaluation takes place before retirement. If that is not feasible, the review needs to occur before the first 60 days of COBRA eligibility. Myth: Once you are on Medicare you cannot leave Medicare. Fact: Medicare beneficiaries can decline some or all parts of Medicare after being on it under certain circumstances. This may be advisable if a person comes to a new employer-based comprehensive health coverage option that is Medicare “creditable” and covers their health needs. Case in point, a retiree with Medicare coverage gets a new job that meets Medicare standards. That retiree can “decline” some or all of the parts of Medicare and save those premium dollars. If the person receives Social Security retirement benefits, they must keep Medicare Part A at a minimum. I recommend that the individual evaluate the new coverage carefully to make sure it will be equal to or better than Medicare coverage before making a change.